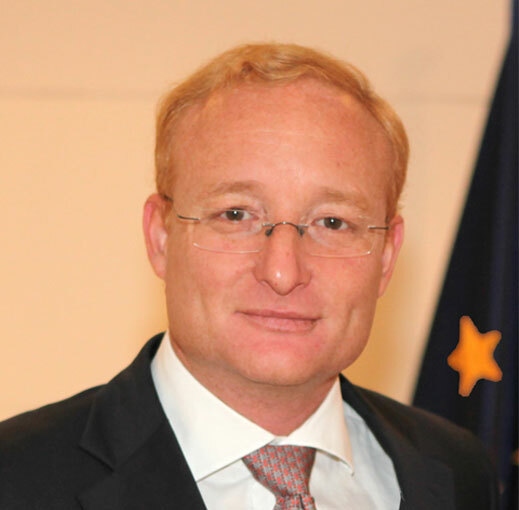 Effectiveness, international cooperation and staff relations are three main areas on which Antonio Campinos intends to focus as new president of the European Patent Office. Campinos, who started in office on 1 July 2018, wrote this in a message which was published today on the EPO website. After only four days in office, it is hard to tell whether Campinos will bring change at the EPO after the controversial years of Benoit Battistelli’s leadership, which led to enormous social problems. But his announcement that ‘staff engagement is among my top priorities’, and his personal message to all staff members certainly seem positive steps. A first real test will likely be his handling of the cases of three SUEPO leaders, whose dismissals and downgrading were reversed last week by the Administrative Tribunal of the ILO, as well as the case of the Irish judge Patrick Corcoran. Striking is Campinos’ focus on effectiveness, rather than efficiency, which could be a sign that the new EPO president is aware of complaints from users that the enormous increase in productivity under Battistelli has led to a decline of, or threatens patent quality at the EPO. Remarkable, furthermore, is that his predecessor isn’t mentioned in Campinos’ message. And an almost revolutionary change is at the bottom, contrary to the blogposts of Benoit Battistelli and perhaps the most significant sign of change: Campinos has apparently decided that his contributions will be open for comments. The message delivered by the new president let us all hope that things could become better at the EPO, but what will matter are not words, but facts. Whatever it means, “effectiveness” will become the new buzzword at the EPO. Talent management has to be given “flesh”, not be another buzz word. If it means quality, then it is quality vs. quantity and not quantity above all. Automation will not mean that examiners will be replaced by computers. Digital transformation is another modern buzzword, but unless there as well some flesh is given to it, it is meaningless. Cooperation with the users is something which was not really a preoccupation of his predecessor as some strategic decisions like grant as quickly as possible was never discussed with the users, and ended up with deferred certainty as the examiners shelves emptied rapidly. Cooperation with member states should mean something different than buying votes in the Administrative Council. Dialog with staff is may be the most important aspect. If talent management should have a meaning, then it is something different that merely demote directors, and only promote those who are on “party line”. It should also not end up in taking away any chances of promotion to directors for examiners and give them more than becoming “team leaders”. There should be a clear cut difference between an examiner and a person being in charge of a group of examiners, who can be fired at any moment. All staff deserve respect, and not to be considered as a mere nuisance which has to be kept under a whip. Confidence has to be restored with staff. In order to show his will in this matter, the new president should “promote” the head of HR to a post where her nuisance capability is near zero. Offering 5 year contracts to examiners should be stopped immediately, as nobody with some sense will leave his home country to hire at the EPO in order to be left without anything after 5 years. What is this advertising campaign trying to hire more people, see Linked In, while internally it is made clear that recruitment should stop until 2020 as there are not enough files for all examiners? Examiners are forced to work in technical areas where they have no qualification at all. This is not quality, but just caring for quantity. It is a gigantic task which is in front of the new president. He has a chance, and we have all hope that he will grab it. However, unless some tangible sign are given in this respect, it will remain a hope. Hope dies last, but once it has died, what then? Techrights: FINGERS OFF!!! Even by quoting excerpts. Nothing might be quoted, nope! When will you learn? A couple of days ago, I posted a congratulatory and encouraging message to the comments box of the EPO President’s blog. Till now though, the Blog continues to report “No comments”. Can anybody here give me any reassurance, that my message will one day appear? Readers, what do you think? Am I wasting my time, posting comments to the Campinos Blog? Perhaps comments to it, that are not obsequious enough for the blog-keepers, struggle to get through to publication? Perhaps to comment you anyway have to be an EPO employee? Who knows? Other than (of course) Mr Campinos and his innermost circle? Meanwhile, what’s the point of engaging, I ask myself? Do EPO insiders think that yesterday’s job adverts for new VPs for DG1, DG4 and DG5 are a hopeful start to the new president signalling a change of approach? Has there been any news internally about similar changes at the top of the HR function? As far as recruitment and talent managing is concerned, it seems that the HR department of EPO delivers mixed messages. When looking at recruitment platforms, the EPO is still seeking people. Internally it appears that staff has been informed that recruitment is stopped until 2020. It has to be looked in parallel with on the one hand, a crazy push for “early certainty” and quick grant, and on the other hand, now examiner’s shelves are empty, a “deferred certainty” is to be proposed to applicants. That is not management, but simply play with users and staff for the sake of it and ruin a well established institution. But not to forget, quality has never been as high. It just depend on the measured parameter. On top of it, everything was honky dory at the EPO for the last 8 years….. In the past the EPO had a mission statement. It was laughed at, if not belittled, but at least there was a kind of vision going beyond simple accounting in all possible areas. The task of the new president is not to be envied! Mr President, please do the right thing and do not complete the destruction started 8 years ago. I hope the new president chooses to do the right thing for every issue going wrong on at EPO.